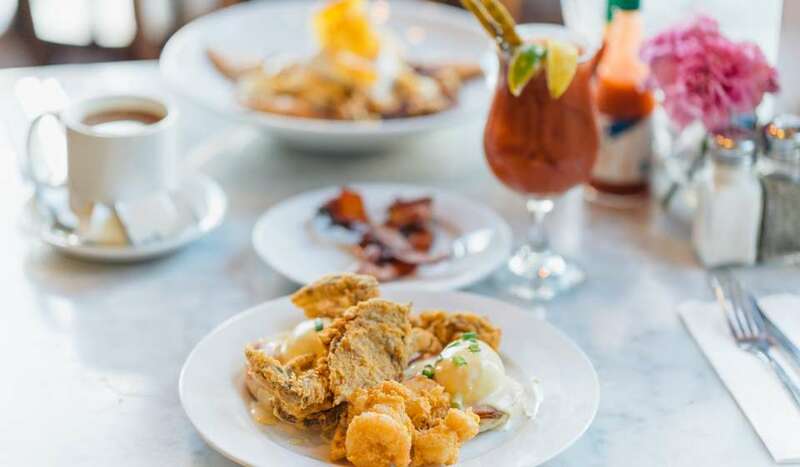 There are many colorfully imaginative traditions dating back to the earliest Cajun settlers of the regions of southern Louisiana to the west and north of New Orleans. One of them is the lighting of the bonfires along the Mississippi River on Christmas Eve. 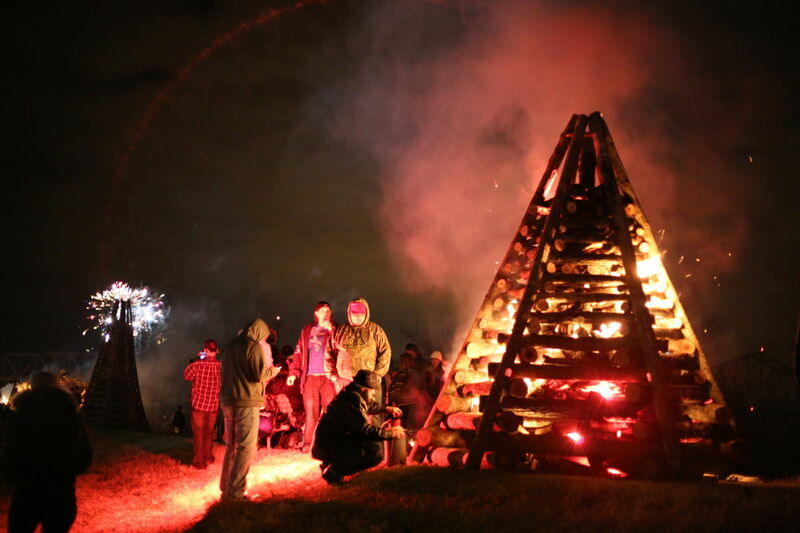 These bonfires, erected on the river levees by the keepers of this old tradition, are intended to light the way for “Papa Noël,” the Cajun Santa Claus, on his airborne journey to the area. Or, according to some sources, the bonfires may have also been a way of lighting the path to the nearest Catholic church for Midnight Mass. 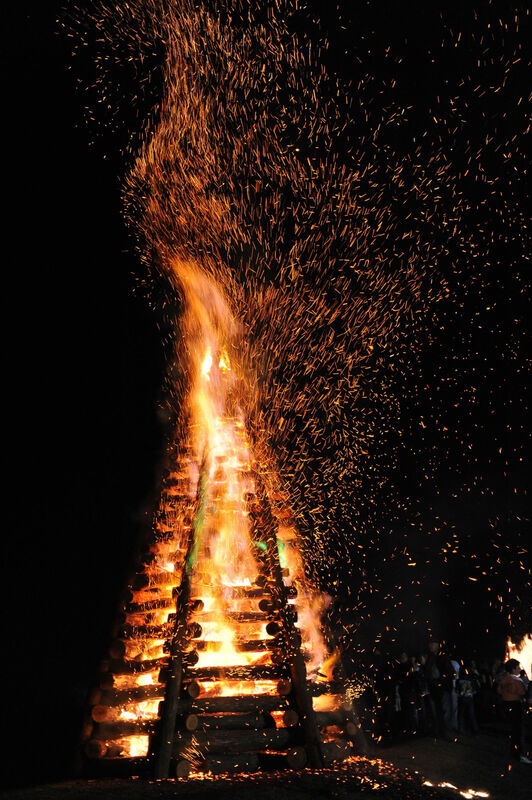 The earliest bonfires on the levees were relatively simple in design and assembly, with long logs arranged into a pyramid-shaped cone, some as high as twenty feet. Shorter horizontal logs holding the structure in place gave it a ladder-like appearance. 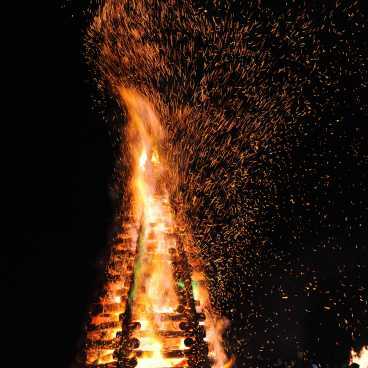 Most of today’s bonfires still incorporate that design, but more imaginative creations have since evolved. Some of the most elaborate structures resemble old Cajun cabins, pickup trucks and other indigenous cultural motifs. 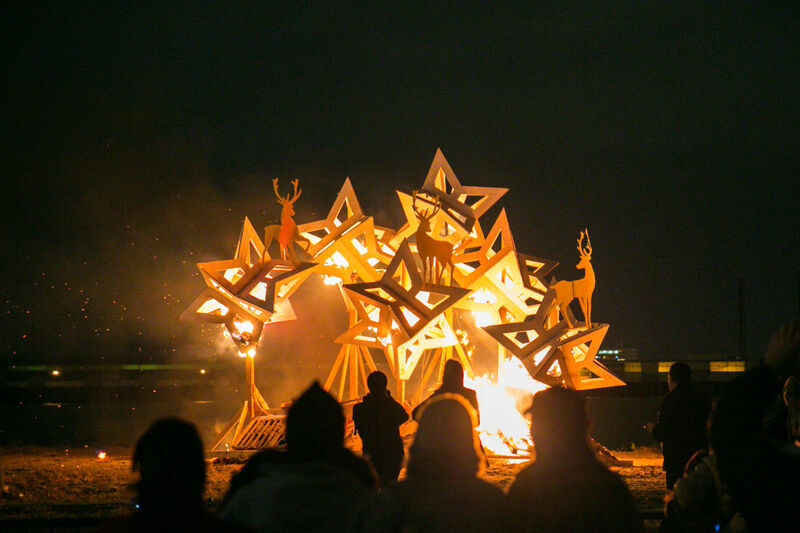 At dusk, usually around 7:00 p.m., the structures are doused with flammable liquids and set ablaze, lighting the sky and the surrounding area with towering flames that would be impossible for Papa Noël and his reindeer to miss. The crowds that gather to watch these spectacular conflagrations enjoy a free show and, in some locales, free bowls of hot gumbo are served up by local residents. The blazes are often accompanied by displays of fireworks, set off by the fires themselves. 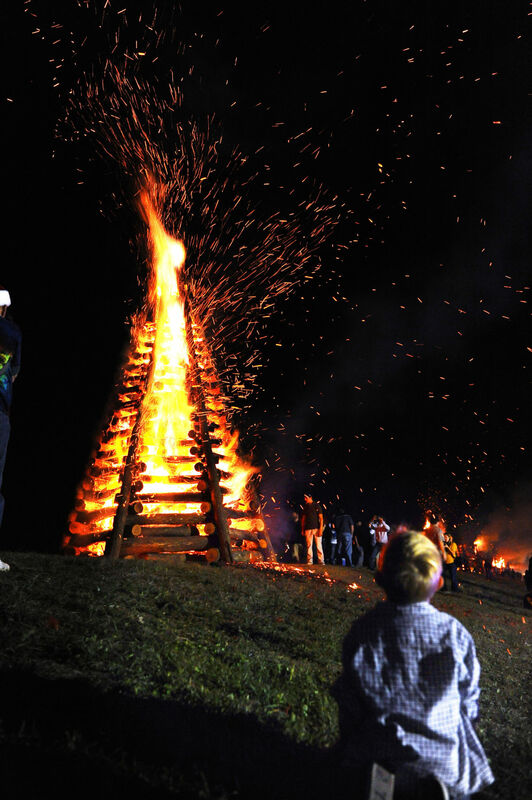 These Christmas Eve bonfires are most commonly found in St. James Parish (county), some 30-40 miles upriver from New Orleans. 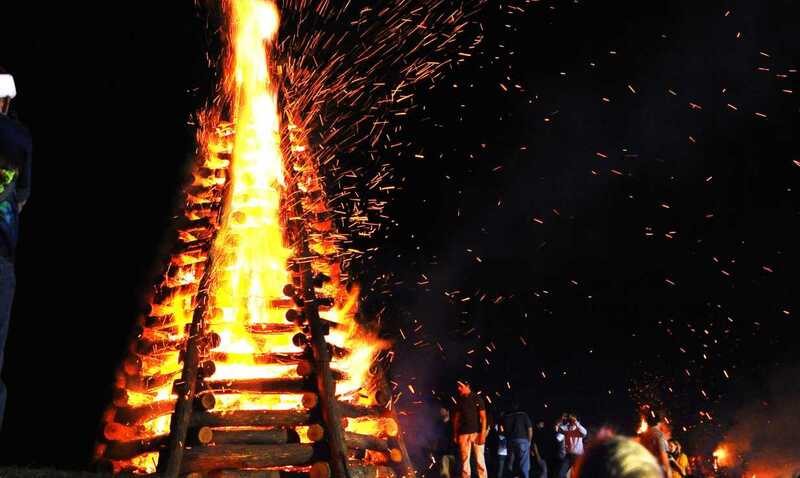 As many as 100 or more bonfires may be erected in the adjoining communities of Gramercy, Lutcher and Paulina, and more may be scattered in other locations in St. James and neighboring parishes. The fire departments in these locales supervise the activity around the bonfires on the levees, maintaining a safe perimeter for the crowds while keeping vigil to make sure the fires stay under control. 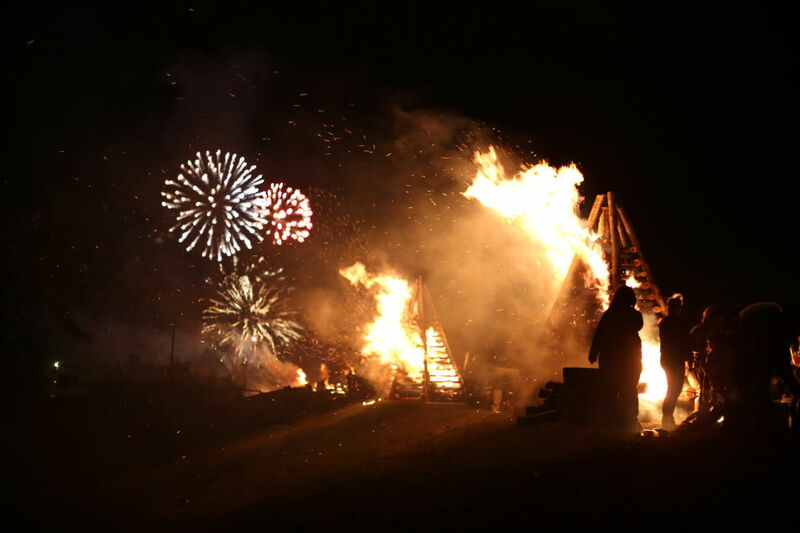 Unfavorable weather can force cancellation or postponement of the bonfires, but this has happened only once in recent memory – in 1982. Private vehicular traffic in the areas of heaviest bonfire concentration may be restricted or even banned. Special parking lots are set up within comfortable walking distance of some of those areas. However, traffic leading up to those areas can be heavy, especially within the last few hours before the bonfires are lit. An early arrival is strongly encouraged. One of the best ways to ensure “a good seat” for a bonfire on the levee is to book a narrated motor coach excursion with Gray Line Tours. 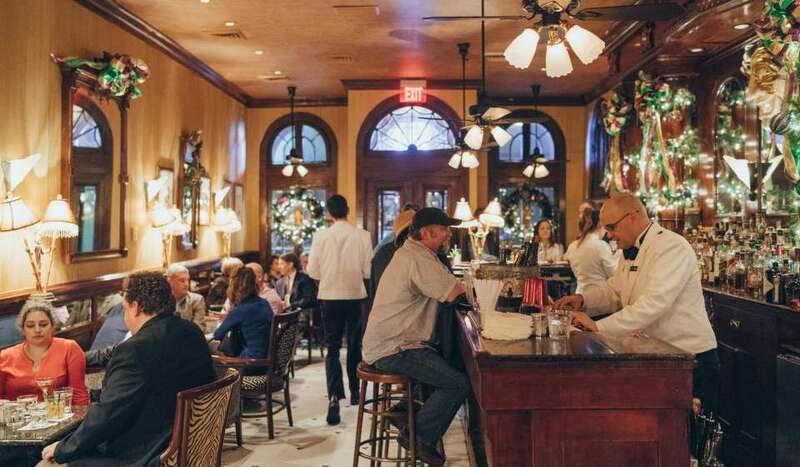 Two options are available: the four-hour Christmas Eve Bonfire Express, which only includes the bonfires, and the 6½-hour Christmas Eve Bonfire Adventure Tour, which includes a tour of San Francisco Plantation and a holiday dinner there. Both tours originate and terminate at the Gray Line Lighthouse ticket office located at Toulouse Street and the Mississippi River, adjacent to the steamboat Natchez wharf. 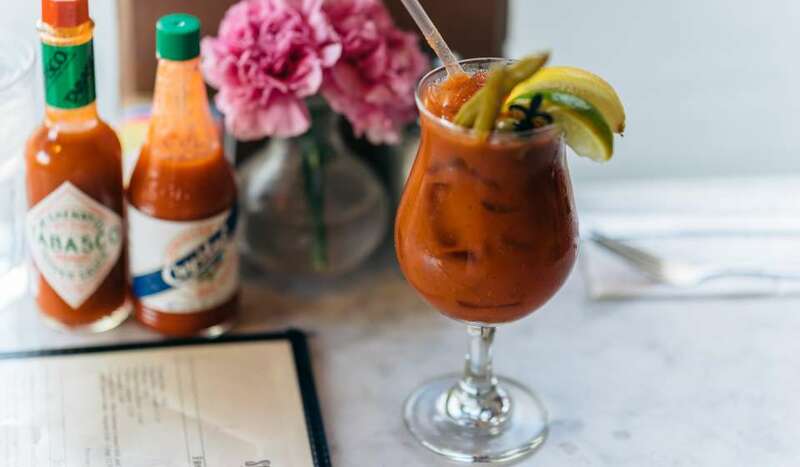 Reservations are recommended 24 hours in advance. 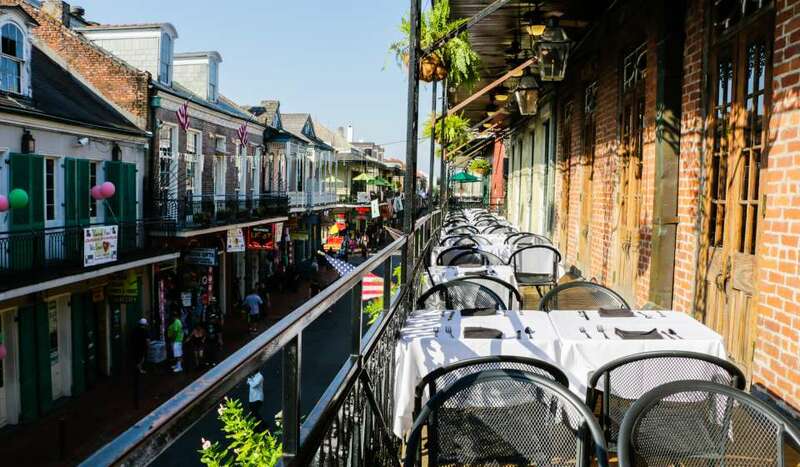 Call (504) 569-1401 or (800) 233-2628 or visit their website, www.graylineneworleans.com/holiday-tours.html for further details. 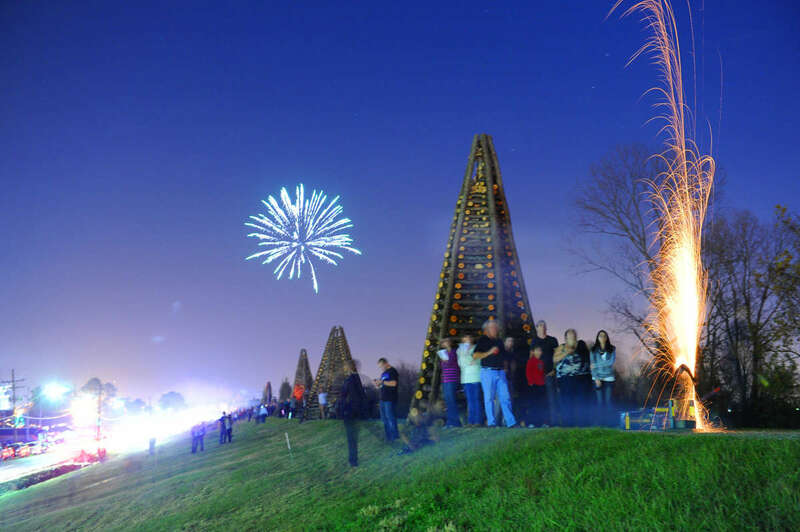 For those who prefer to “stay home” and watch a bonfire here in New Orleans, the Algiers Economic Development Foundation sponsors one annually, early in December on the levee in Algiers Point. The site is on the west bank of New Orleans, near a bend in the river directly opposite the French Quarter. It can be viewed from the Moonwalk adjacent to Woldenberg Riverfront Park or from Algiers Point itself. The Canal Street-Algiers Point Ferry carries passengers from downtown New Orleans to the vicinity of the bonfire site. The AEDF website and Algiers Bonfire website contain details and photos about the organization and event. The tradition takes place in early December. and features live music, a second line, and the bonfire lighting.